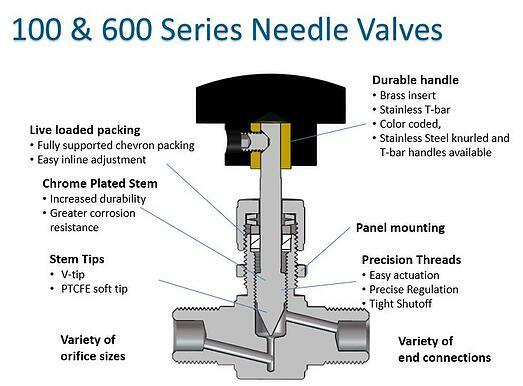 100 & 600 Series needle valves have an integral bonnet design for instrument and general purpose applications. 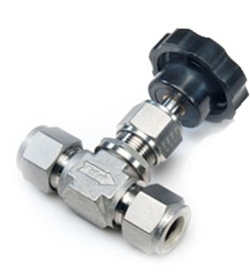 Live loaded chevron packing packing reduces the need for maintenance and packing adjustments making SSP needle valves suitable for high-cycle and dynamic temperature and pressure applications. End Connections Types: Duolok, Unilok, or Griplok tube end, NPT and BSPT pipe ends.